I got this whole idea from watching Britney's halloween (2013) vlog from Britneyandbaby.https://www.youtube.com/watch?v=u-EwxXnDLP0 Big fan, big fan of Britney and Aria!!! OK. There are five parts in this project. Don't panic yet. All of these are easy straight forward steps. 1. Let's start from the easiest part, the shirt. 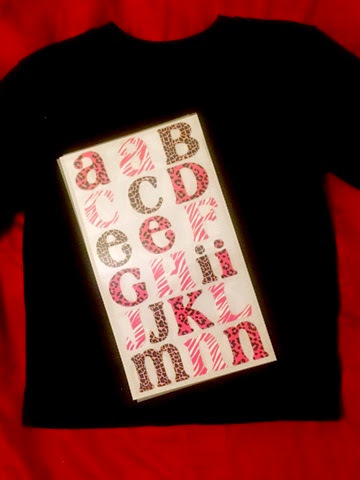 To make the shirt, I used a black tee I bought from Walmart and the gorgeous leopard print iron-on letters from local Michaels. 2. The pants. I used a pair of black pants and pink faux feather. 3.Cat tail. I used black felt fabric. Cut into a cute tail shape. Of course, I need to sparkle the tail tip using the rhinestones. Then I used a bar pin to attach the tail to the shirt. Now take a look at the pants and the tail together. Cute, isn't it. 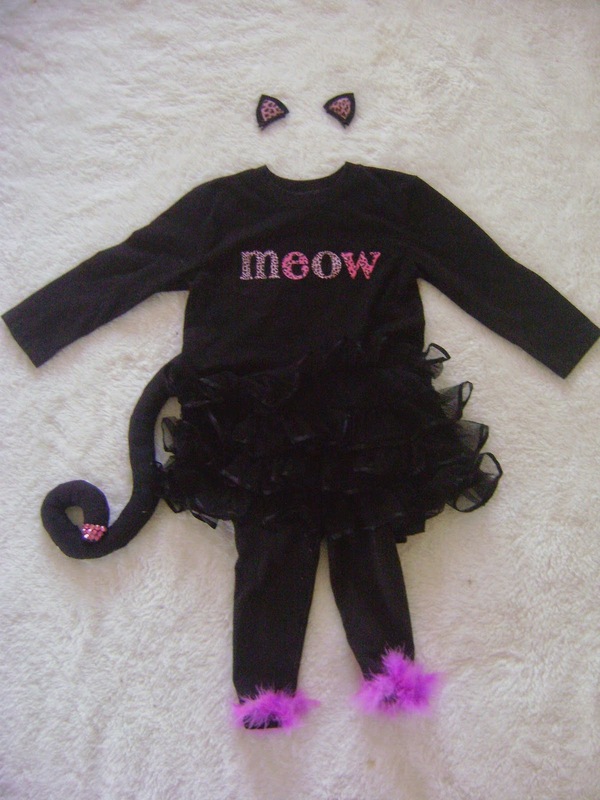 4.Cat ears. I don't want this post to be extremely long, so I decided to have another separate post about the cat ears. This is my favorite part. You know how much I like to make hair accessories for my daughter. Here is the detailed look of every part I made.